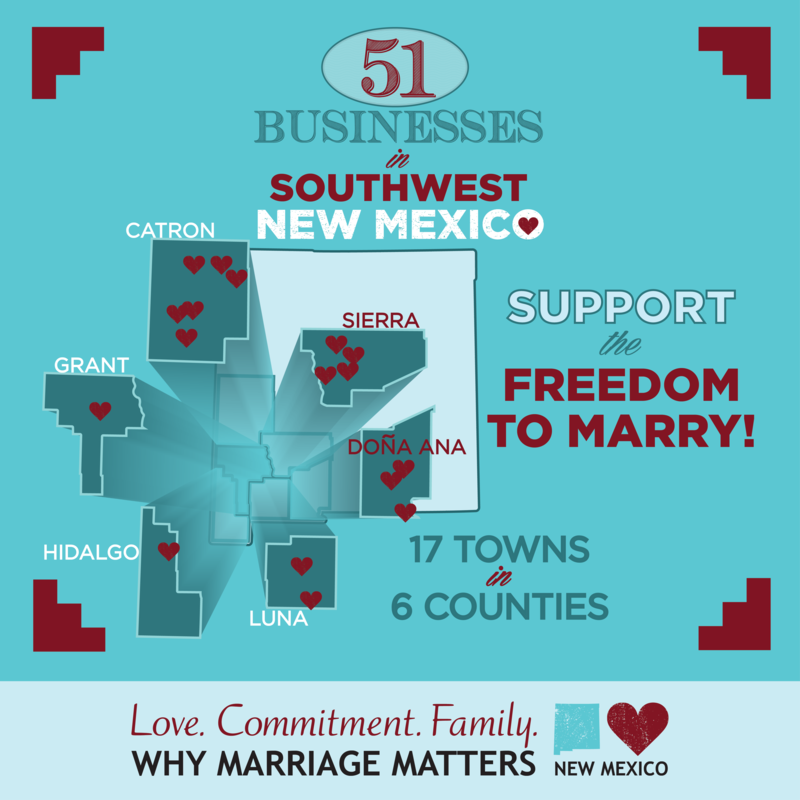 Today, Why Marriage Matters New Mexico released a list of 51 businesses located in Southwest New Mexico who have pledged to support and defend the freedom to marry in New Mexico. From Pie Town to Hillsboro, local businesses have taken a public stand for equality. Today’s announcement is a result of the first month of efforts by Why Marriage Matters New Mexico aimed at recruiting supportive businesses in all 33 New Mexico counties. Why Marriage Matters New Mexico is a public education project aimed at increasing support for the freedom to marry in New Mexico. Although there is no immediate threat to overturn the 2013 NM Supreme Court ruling, that guarantees the freedom to marry for LGBT couples, the project aims to continue public education efforts statewide with a focus on communities outside of the Rio Grande corridor. The project will continue through 2014 and is led by a coalition of five local and national organizations. Equality New Mexico, the ACLU of New Mexico, National Center for Lesbian Rights, Freedom to Marry and ACLU National. The list of 51 businesses in SW New Mexico joins a list of more than 170 supportive businesses statewide. Local business owners are excited to pledge their support.